Genevieve May Vallenari passed away on Sunday after she suffered a massive stroke. She spent her final days visiting with her daughter in her favorite place in the mountains of Scotts Valley. She touched many lives with her gentle spirit and positive outlook on life. She had a wonderful smile that could light up the room. Genevieve was born in Mason City, Iowa. She was the daughter of George and Maude Schneider. Genevieve was a long time resident of Los Gatos, California and retired in Roseville California. Prior to retirement, Genevieve worked as an office manager for medical centers in the Los Gatos area. Genevieve loved creating gift cards for family and friends and each card was a work of art. 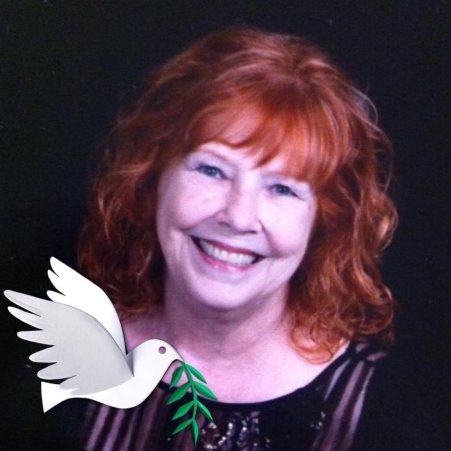 She enjoyed teaching Tai Chi and continued to teach classes throughout Roseville up until the day she passed. Genevieve loved to bake and was famous for her pecan pie. Genevieve is survived by her loving husband Joseph; devoted children Janine Bertelsen (David) of Scotts Valley, Mark Cosentino (Martina) of San Diego, Greg Vallenari (Barbara) of Denton, Texas, Steve Vallenari (Nanette) of Denver, Colorado, Lisa Lindman (David) of Fayetteville, North Carolina, Laura Vallenari of Kingsburg. Genevieve’s grandchildren and great grandchildren were the core of her life. Her precious grandchildren included Joseph Zappala, Mark Cosentino Jr, Melissa Zappala, Jason Zappala, Lauren Applegate, Whitney Vallenari, Kara Vallenari, Evan Vallenari, Cole Vallenari, Adrianna Vallenari, Matthew Lindman, Jacob Lindman, Joshua Lindman, Kaylee Vallenari and Esther Vallenari, Steven Cosentino, Amanda Baker. Her great grandchildren included Camryn Zappala and Joseph Zappala Jr, Oakley Rose Zappala, Ivy Vallenari and Olive Vallenari. Genevieve is joining her daughter Sandra Cosentino in heaven. Genevieve had 8 siblings and was the last surviving Aunt to many nieces and nephews throughout California and the midwest and east coast, sharing in their lives and leaving all with wonderful stories that will forever bring joy. Friends and family are invited to a Rosary at Lambert Funeral Home, 400 Douglas Boulevard, Roseville, California on Wednesday February 20, 2019 from 6:00 to 7:00 pm. A Mass will be said at St. Clare Catholic Church, 1950 Junction Blvd, Roseville, California on Thursday, February 21, 2019 at 10:30 am. The burial will be held Saturday, February 23, 2019 at 11:00 am at Los Gatos Memorial Park, 2255 Los Gatos-Almaden Road in San Jose, California.